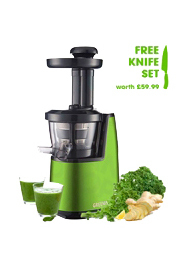 Here you'll find a selection of Juico Juicers as well as a variety of gift ideas, perfect to pass on to friends or family. 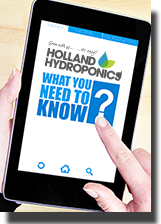 Great for that special someone who needs to be introduced to the wonderful world of hydroponics, no matter what age! The Juico Slice Ceramic Knives are manufactured using high quality sub-nanometer Zirconium Oxide. Ceramic blades should always be high density and have consistent colouring without staining or cracking. These do just that! The Juico UNO has been designed with the busy lifestyle juicer in mind. Whilst the standard Juico Slow Juicer has 3 separate components, the UNO combines these into one meaning it’s less hassle, less washing up and easier assembly! There’s no need for a dishwasher, the Juico UNO can self-clean, removing most of the pulp before rinsing. The Juico Slow Juicer from Greenis UK is a premium line, designed to fit into any kitchen with 5 vibrant colours to choose from. A benefit of the Juico is that it gets the most available nutrition from your produce by reducing the amount of friction normally involved with high speed juicers, thus eliminating heat from the juicing process.